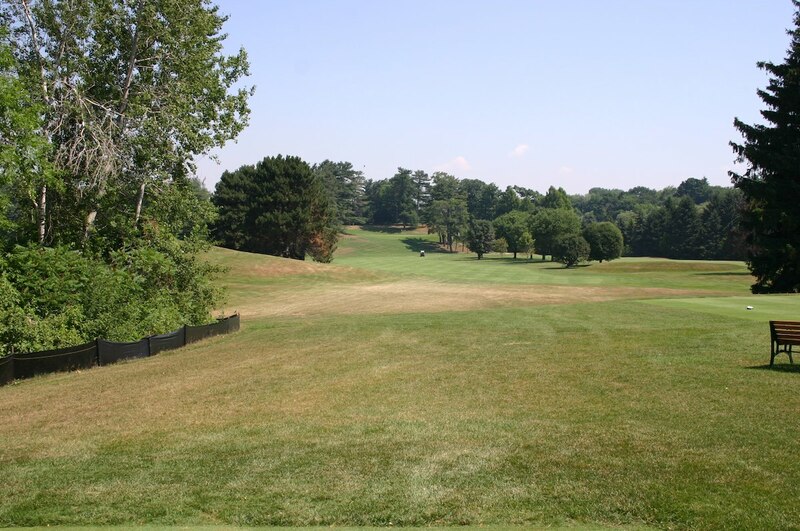 The third oldest golf club in North America, Toronto Golf Club was founded in 1876 but only moved to its present location beside the Etobicoke River in 1909 when its existing property was swallowed up by the expanding Toronto city limits. 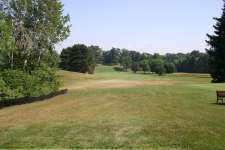 The new locale was ideal, only a short distance from the city and full of the sort of natural pitch and fall needed to create interesting golf holes. Blessed with such a suitable site and armed with a generous budget, British architect Harry Colt was able to build a real monument for the membership, his course opening in 1912 to almost immediate acclaim. As Canada’s first great layout, Toronto’s influence spread far beyond the mere appreciation of its members. Indeed one of the club’s young caddies, Stanley Thompson, would grow up studying Colt’s ideas, both here and at his nearby Hamilton course, and go on to become a design legend in Canada. Much has changed in the decades since the course first opened, trees have grown and caddies are no longer part of the club fabric but thankfully the membership has remained a diligent and dedicated custodian of Colt’s timeless architecture. An entry road did force a minor shift in the first fairway many years back while the bunkering on the par three 14th is clearly not original, but otherwise the course is largely unaltered and sensible tree management and careful restoration programs ensure it will remain very much in line with the Colt vision well into the future. Beyond the good holes and interesting green sites that Colt is renowned for, his greatest achievement at Toronto was a brilliant routing that makes full use of all of the property’s natural features and movement. After a flattish start he grabs your attention with a superb Redan at the par three 4th, its shallow putting surface hidden beyond a ridge and small gully and sloping away from play. 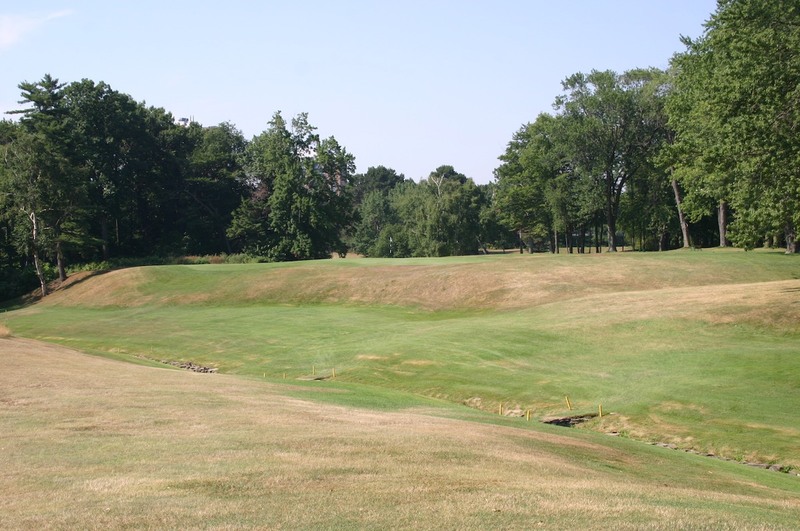 The crested landing area and plateau green of the 5th are also fabulous, as is the one-shot 7th, which plays diagonally across a substantial chasm with a bunker waiting to catch those who succumb to the fear of pushing one into the abyss. 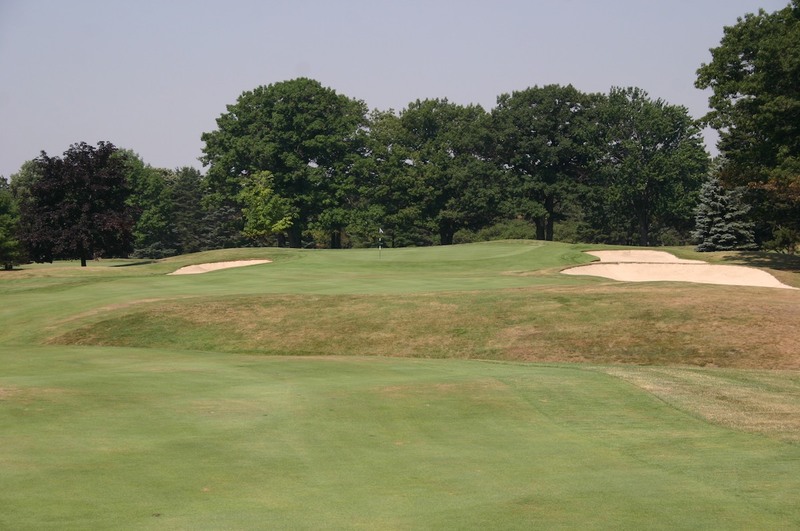 Played between a trickling creek and a high fescue covered hill, the 9th is Toronto’s most attractive hole while its most adventurous is the par five 13th, which heads through a saddle and is then blind over a large crest. The finish from the heavily tilted 15th is pretty special as well, particularly the cracking second shot from atop the 16th fairway and the tough par three 17th. Though many dislike the short 18th it does feature an attractive pitch from a hogs back across a deep hollow into the big sloping green, a hole unlikely to terrorize you but a fun finish nonetheless to a wonderful round. 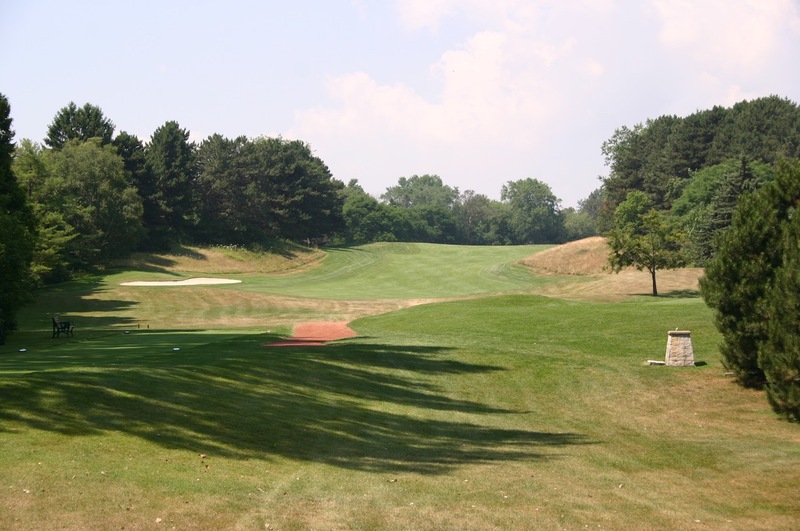 Despite being too short for today’s young stars, Toronto’s par of 70 is no pushover and provides a much more comprehensive examination of your skills than the more difficult, but more one-dimensional, modern courses around the Toronto area. Along with St. George’s and Highlands Links, this is the most internationally significant Canadian golf course and while the club’s long history is impressive, it is the quality of Colt’s routing and the influence his layout had on future design here that makes this charming club so special.